It is well-documented that the Parsees were the pioneers among Indians when it came to cricket. Not only did they take to cricket before other ethnic groups, they also undertook two voyages to England, in 1886 and 1888. In 1892-93 they first played Europeans in the first ever First-Class match on Indian soil, then beat them to clinch the first ever Presidency Cup. In 1895, ME Pavri became the first Indian to play for an English County when he took field for Middlesex against Sussex. The first Indian Test team consisted of two Parsees, Sorabji Colah and Pheroze Palia. At 41 years 27 days, Rustomji Jamshedji later became the oldest Test debutant for India and the seventh-oldest overall. He was also the first Indian cricketer to be born. The Parsees kept their presence intact through some outstanding names in Rusi Modi, Polly Umrigar, Nari Contractor, Rusi Surti and Farokh Engineer. 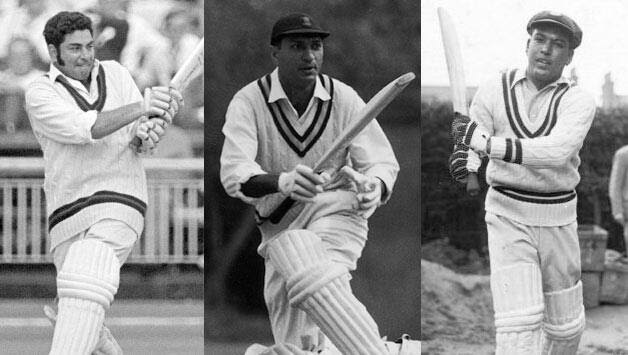 Towards the end of the 1950s the Parsees had three representatives in the Indian Test side. And on the West Indies tour of 1961-62, as many as four — Umrigar, Contractor, Surti, and Engineer — played together before Contractor was hit by a career-ending blow from Charlie Griffith. Parsee cricket fell out after the 1960s. In fact, no Parsee has played for India since Engineer’s retirement in 1975. Please note that the purpose of this article is not to hurt any religious sentiment. Nari Contractor (c), Farokh Engineer (wk), Rusi Modi, Polly Umrigar, Sorabji Colah, Rusi Surti, Phiroze Palia, Jenni Irani, Khershed Meherhomji, Rustomji Jamshedji, Keki Tarapore, Kekhashru Mistry (sub). Mistry had played only unofficial Tests. no Parsee has played for India since Engineer’s retirement in 1975. You have forgotten Diana Eduljee captain of indian cricket team. I would appreciate few lines on her..